Wendi Nix is an American anchor/reporter. She works for ESPN. She covers NFL and College Football games from the New England area. She joined ESPN in August 2006 as a sports anchor and reporter. Wendi Nix made history in 2009 becoming the first woman to host for the Walter Camp Football Foundation All-American Awards dinner. Prior to joining ESPN, she worked for WHDH in Boston, Fox Sports Net, and NESN. She covers major NFL events throughout the year, including the Scouting Combine, NFL Draft, and Super Bowl. The renowned TV personality is a married woman. She exchanged the vows with Joe Ritiche in 2016. 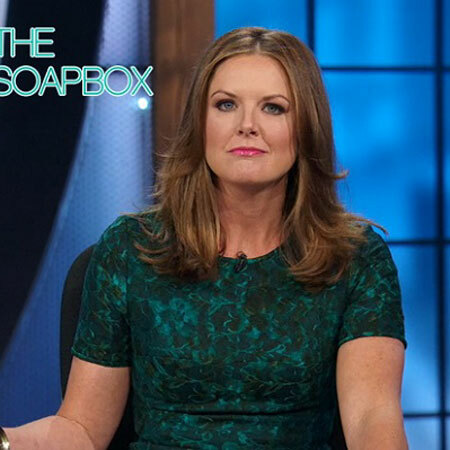 Wendi Nix was born on 17 September 1974 in Murrells Inlet, South Carolina. Wendi is American and of White-American ethnicity. Her father was a Football coach at school and college level. Wayne Nix was a high school football coach and athletic director. She once revealed that her earliest memories are in and around the football field with her dad. I am six years older than my brother, so as a young coach with only one kid, my Dad brought me along to practice. Nix also said both of her parents attended her high school games even when her father left coaching. Nix studied Socastee High School in Myrtle Beach, South Carolina. She graduated from high school in 1992. In 1996, Nix received BA in French and Economics from the Wofford College in Spartanburg. In 1997, Nix earned her master degree in sports management from the University of Massachusetts-Amherst. Nix was a two-year captain of the golf team when she was at Wofford College. 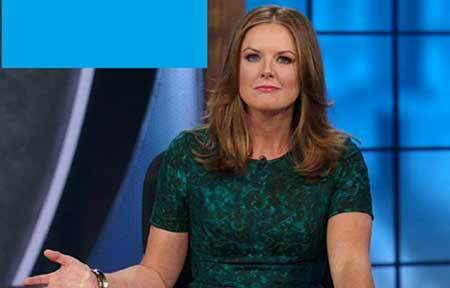 Wendi Nix started her career with ESPN as a reporter and host in 2006 covering college pro football and golf. She hosts College Football Live and NFL Live. She also regularly contributes Sunday NFL Countdown, College GameDay, and Sports Center. Before working for ESPN, Nix served as a weekend sports anchor at WHDH in Boston from 2003 to 2006 and even before that she reported for Fox Sports Net, NESN, and WPDE in South Carolina. Nix was a weekend sports anchor at WHDH in Boston (2003–2006) and previously reported for Fox Sports Net, NESN and WPDE in South Carolina before working at ESPN. She also hosted weekly Chalk Talk events in Monday Night Football cities timed to ESPN’s primetime MNF games. Wendi is still the occasional guest analyst on WHDH’S weekend show Sports Extra. Nix is the host of ESPN2’S pre-halftime and post-game parts on college Football Saturdays since 2010. Nix has also a micro-blogging site Twitter with 37.4 K followers, as of Jan 2019. She loves football. She prefers to spend her leisure time in the beach with her family. Wendi Nix's net worth can be close to million, as the renowned media personality has not disclosed the real figure but it can't be lesser than $2 million. Her annual salary is near to $85K, as per some online sources. Nix was previously worked for Fox Sports Net where her annual salary was over $35,000. Wendi Nix has her career strongly building as a sports reporter. She is almost in her mid-forties and yet considered to be one of the stunning and talented sports anchors. Wendi Nix is married and has two children. She has been married twice. Nix first married to Ben Cherington, General Manager of Boston Red Sox. The couple divorced after a few years of marriage. In 2010, Nix revealed her divorce with Ben Cherington in an interview with Myrtle BeachTribune. She also has two daughters with her former husband. The major reason behind their separation is still a mystery. They resided in the Boston area before parted ways. Nix later married Joe Ritchie and revealed about her second marriage via her Twitter in 2016. She is raising her two daughters with Ritchie. Details about Ritchie's information is still under the radar. He rarely appears on Nix' Twitter account. Nix loves the ocean and traveling more than football. She frequently travels with her family in oceans and beaches. Nix usually shares her children's pictures via her Twitter. The family of three currently resides in South Carolina. Wendi Nix also loves adventure works like traveling, hiking and other forms of adventure works. Height: Wendi Nix stands at the height of ‎5 Feet 8 Inches (1.78m). Weight: She weighs 68 Kg as of August 2018. Body measurement: She has a perfect body measurement size is 35-24-35 inches. Age: September 17, 1974(age 44).